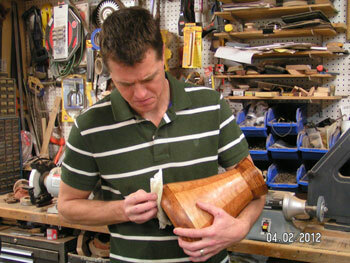 Steve Shannon is a highly regarded, professional segmented woodturner. His custom designed wood pieces reflect an exciting, creative, and contemporary flair. His blends of woods express both a harmony and a genuine integration of nature's best offerings. Such expression can be witnessed in his custom crafted vessels, furniture, and artwork previously showcased in Art Space at Textures Gallery in Scottsdale, Arizona, and currently in many funeral homes and pet cemeteries across the country. 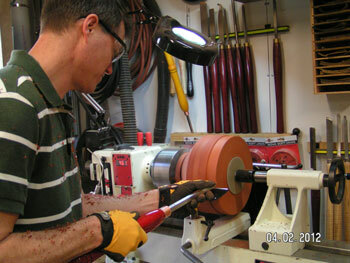 Steve's passion began during his first high school woodworking class. His subsequent work in the tool and die industry as a moldmaker provided him with a special and unique perspective for his craft. On a personal note, Steve has served as an inspiration to others who also have Type I diabetes by completing a number of marathons and triathlons. His strong desire to demonstrate that any obstacle can be overcome transfers into his pursuit of excellence in his wood creations. 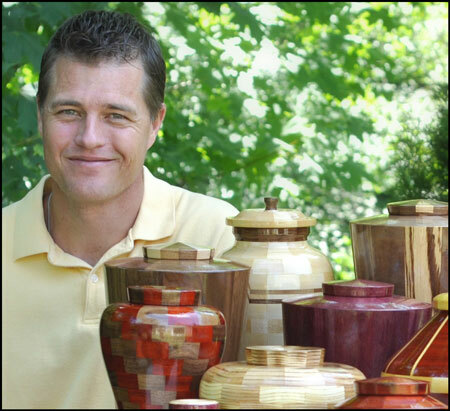 With the production of hundreds of custom pieces made over the past 25 years, Steve has become one of Chicagoland's most talented and sought after woodturners. His pieces will be a true celebration of life for your loved one.